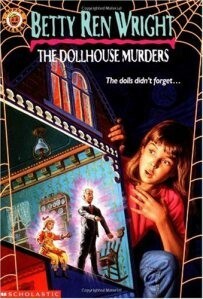 The Dollhouse Murders is a story about a dollhouse that was haunted by someone that was holding a grudge. Their aunt clare thought the murders of grandpa and grandma trealor was her boyfriend. Who killed them? Who was in the doll house? And what did the person in the doll house want? Would the cops even care about them being murdered any more? Who would find out about it? Had every one forgot about it? The dollhouse Murders is about a haunted dollhouse. You have ti read the book to find out what happens at the end and who the murder is. And if every one turns out fine.